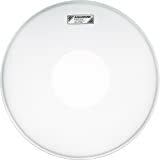 A 1-ply drumhead with extra overtone control. 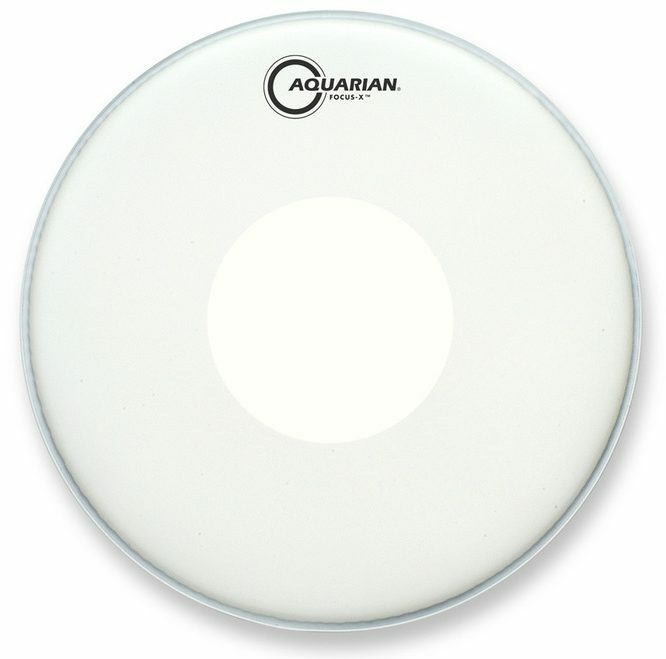 The Aquarian Focus-X Coated with Power Dot is great if you’re looking for a durable single ply drumhead without ringing overtones. 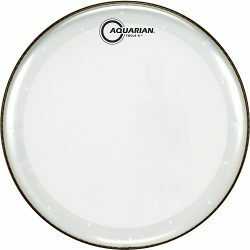 The Aquarian Focus-X Coated is made with a top-coated single ply of 10mil film, an underside center control dot, and a vented inlay ring on the underside of the head. The inlay ring helps to focus the sound, controlling ringing overtones and slightly reducing the sustain. Small holes are punched around the inlay ring, hence the word “vented” in the description. The inlay ring also floats (rather than being fully stuck to the drumhead). The center control dot (the “Power Dot”) gives extra durability to this version of the Aquarian Focus-X, and adds even more control to the overall sound. 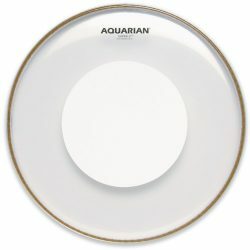 The end result is that the Aquarian Focus-X Coated with Power Dot is quite focused and controlled for a single ply drumhead. The Aquarian Focus-X Coated with Power Dot is a balanced-warm sounding head, thanks to the coated 10mil single ply and the Power Dot. 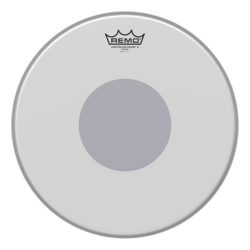 This head has a full tone, with high-end frequencies reduced by the the top coated layer, the Power Dot, and the inlay ring. The Aquarian Focus-X Coated with Power Dot has a shorter sustain than the other versions of the Focus-X, again due to the combination of the underside control dot and inlay ring. Ringing overtones are quite controlled, and the sustain is low to moderate in length. 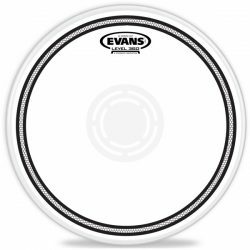 Overall this drumhead gives a punchy full sound, with a slightly warm tone. 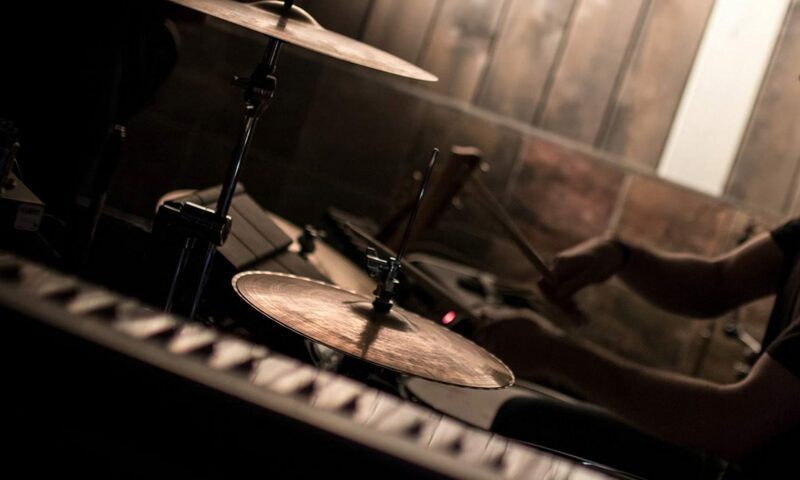 Compared to more open sounding 10mil drumheads, there is a lot more focus on the fundamental note. 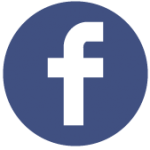 Compared to both the Clear and Coated Focus-X, the Aquarian Focus-X Coated with Power Dot is warmer sounding, due to the top coated layer and Power Dot. There is a punchy balanced-warm attack, with the coating reducing the attack’s sharpness a little. The Coated Focus-X responds fairly well to lighter touches, although the sensitivity is slightly reduced by the Power Dot. While quite usable at lower volumes, this drumhead really shines at medium to higher volume levels. The added durability of the Power Dot means you can hit harder to produce a bigger sound (especially on snare drums). 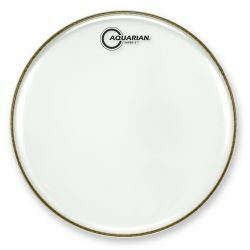 Overall, the Aquarian Focus-X gives a focused punchy sound, with a focused sustain. 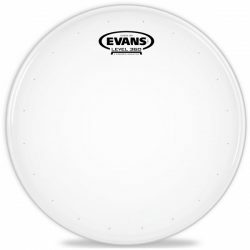 The textured coating on this drumhead provides a great responsive surface for playing with both brushes and drumsticks. The Power Dot is on the underside of this drumhead, meaning it won’t get in the way when playing with brushes. 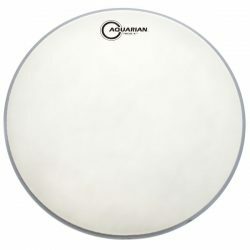 The Aquarian Focus-X Coated with Power Dot is a great choice if you need a sensitive yet durable drumhead, with a lot less ringing than is usually heard with single ply heads. 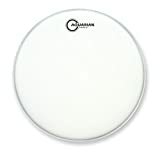 The Focus-X with Power Dot is the warmest, most focused, and most durable drumhead of the Focus-X range. The Aquarian Focus-X Coated with Power Dot is great for medium and higher volume playing, if responsiveness is needed but overtones are not.